When you dbl-click a .xaml file in the Solution Explorer, the WPF designer opens. You’ll see a split window with Design and XAML tabs. You make changes on the Design tab by dragging/dropping controls from the toolbox or by selecting objects and making changes in the Properties window. 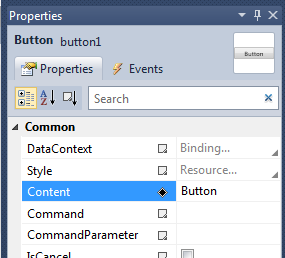 You make changes on the XAML tab by editing the XAML directly.